As we know that winter is almost here. And it is the time where we have to keep all our winter essentials in our home. Starting with the clothes which help us in keeping warm such as coats, sweatshirts, sweaters, woolen garments, blazers, cardigans, heftier shoes which help in saving our toes from cold as well as some winter accessories as well as clothing items that we generally wear in a daily basis. Not only this but in winter we also need to change our skincare and haircare items. This is because the products that we generally use during summers are not suitable for winters. In short and simple words, the things that we generally use during winters are expensive as compared to summers or springs. Purchasing the winter essentials is a bit tricky task. This is because we need to select the best by saving money. So, in this article, we are going to discuss some important things that we need to keep in mind while shopping for the winter season. 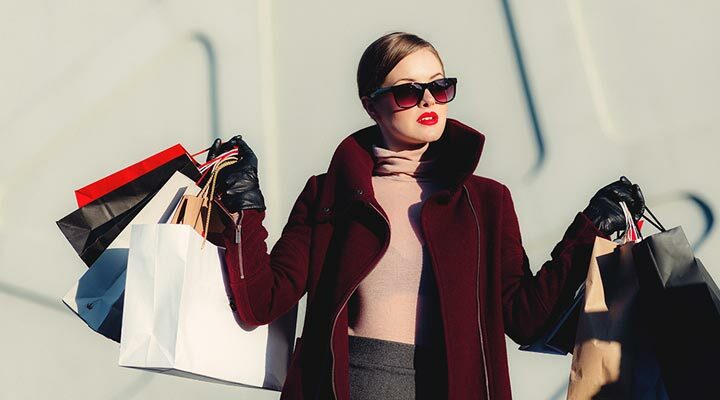 If you are one who is in search of the best deals in this winter, here we have shortlisted some winter shopping tips that will come handy while shopping. You always need to go through the winter essentials that we purchased last year. Choose those products that are still good and are wearable in this winter as well. This will help you to save that extra amount of money that you were planning to spend while shopping. Most of the winter outfits are costly. So make sure you always choose good quality products so that you will be able to save during the next winter. Whenever you go shopping for winter essentials. It is highly recommended to prepare a shopping list. This is because if you do not prepare a list, you will end up your shopping by spending extra bucks of money. Now, what else can you do to shop perfectly? Make a list where you will list down the winter essentials such as sweaters, boots, gloves, trench or coats. Preparing a list will help in staying within the budget range. This will prevent you from overspending. Once your shopping is done, you will be amazed to see that how much money you will be saving. As we mentioned above that the good quality winter garments are not available in the affordable price range. This is because these clothes are generally thick as compared to the regular winter clothes which make them expensive. But you can still bargain with the shopkeeper and get it within your budget. Having said that if you choose the best type of insulation, you have to pay a little bit higher as they will help to keep your body warm. On the other hand, if you are buying the winter essentials for the regular use, go for sale instead. The arrival is winter is all about spending a lot of money on winter garments. Now if you are thinking to shop in huge for your winter essentials, just log on to the online e-commerce stores instead of buying from the local stores. This is because online stores are famous for offering a good amount of discounts. What all you need to do is manage your time by browsing the site to get the best offer. It is highly recommended to buy the premium clothes from the factory outlets stores. The main reason behind this is that you will be getting genuine quality products at a low price. During the offer time, you can even get 50% off while shopping in the factory outlet store. Shopping something on the clearance sale is not that easy. This is because sometimes it becomes very tough for us to find a cloth in our size or style. All you need to do is be patient as well as willing to look around. There are some days when you won’t get anything which perfectly suits you. So that is just okay. You can come other days. After all, the entire point is to save money. So, whenever you go shopping during a clearance sale, just keep in mind that you have to save money stick to your budget. You have made a decision on how much you are willing to spend on a specific item. As well as start finding for the best offers. We always recommend you shop at the end of the season. This is because, during the beginning of the winter season, the marketers charge huge price from you. Now if you are one who is willing to save money, just wait for five to six weeks until and unless the price marked down. The retail stores are ever changing. The shopkeepers cannot keep the old stock to hang on the racks. So, they are moved to the end of the season sale section at a low price. And you as a smart shopper need to take advantage of this. If you want to purchase your favorite pair of shoes that you have been eyeing, then your best day to buy this item is on pre-holiday offer. That is on Thursday or Friday. This is because the store owners clearly know that most of the people come shopping on the weekend and Sunday. And therefore they start preparing the sale section on Thursday for marking down the old merchandise. By shopping on Saturday or Sunday you obviously can get a great deal but you will only get the limited products which are not good if you want a particular item. By shopping on a day before a holiday, you can choose the best item along with the best prices. Shopping is an amazing experience. But what if you make a mistake of buying a damaged product by mistake and there is no return policy? It often happens in online shopping. There are some specific products that are sold at low prices but unfortunately, there is no return policy. It might happen in the case of store shopping as well. When you are planning to gift a jacket to someone. And when that tries that jacket, it doesn’t fit. So it is highly recommended to read as well as ask about the return policy. Do not make a mistake of buying skincare or haircare products during the sale. This is because the marketers generally sell the products that are close to the expiry date. Sometimes they even change the expiry date label. And you obviously do not want to take the risk on your skin or hair. We recommend you not to compromise at least with your skin and hair. To sum up, these are the amazing shopping tips during winter which will help you to buy good items without overspending. What all you need to do is keep a track on discount, shopping at outlet stores, prepare a list and never compromise with the price and quality of the items. We hope you find this article useful. Let us know in the comments section below.